The world is undergoing a dramatic transformation, rapidly transitioning from isolated systems to ubiquitous Internet-enabled ‘things’ capable of generating data that can be analyzed to extract valuable information. Commonly referred to as Internet of Things or IOT, this technology will the change the world as we know, it will enrich our lives, increase business productivity, create new applications and so on. Exelanz works with industry leaders in Electronics and Telecommunication fields to deliver world-class IoT services to businesses around the world. IOT architecture has four major functional blocks – Smart things, Gateways, Network and Cloud, and Solutions/Services. Exelanz has deep expertise in all these areas that is required to ensure a secure and reliable bi-directional communication among the systems. 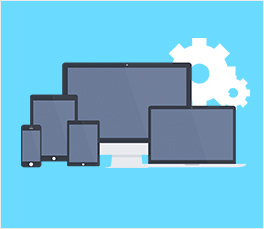 Exelanz is highly experienced in multi platform development including computer, mobile, TV, Smart Watch and more. This helps us making sure that your ‘smart thing’ is connected to all possible devices. 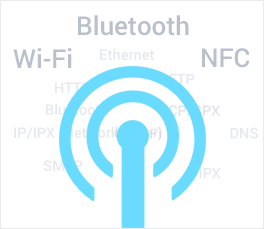 We are very experienced in a variety of networking protocols including RFID, NFC, Bluetooth and WiFi. Our engineers have advanced degrees in Telecommunications and have worked for large global Telecom companies.